Hello from London! I landed a few hours ago, hopped on the tube, and am currently sitting in Starbucks waiting for my sweetheart to join me so we can kick start our holiday. We’re going to be in Notting Hill for most of the week, so if you have any recommendations, I’d love to hear them. Definitely excited for 7 days of eating, drinking, and sightseeing… but first: COOKIES! 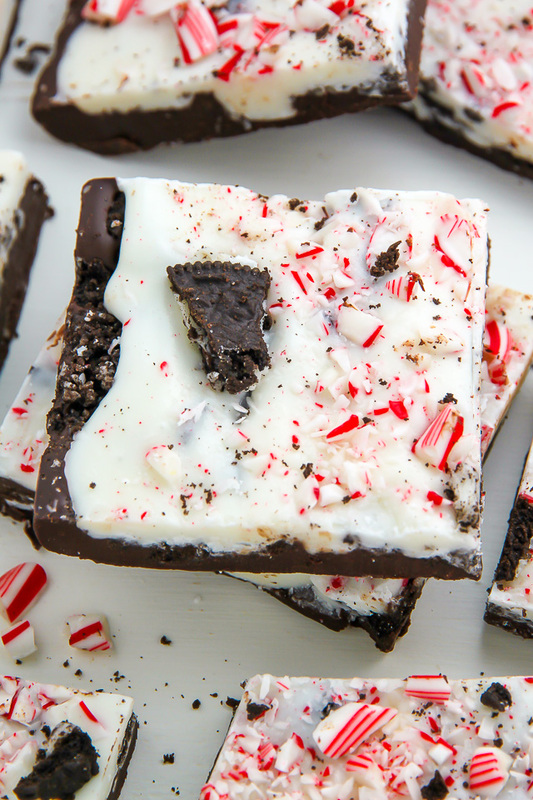 Today’s recipe is part of our Holiday Baking Bonanza! 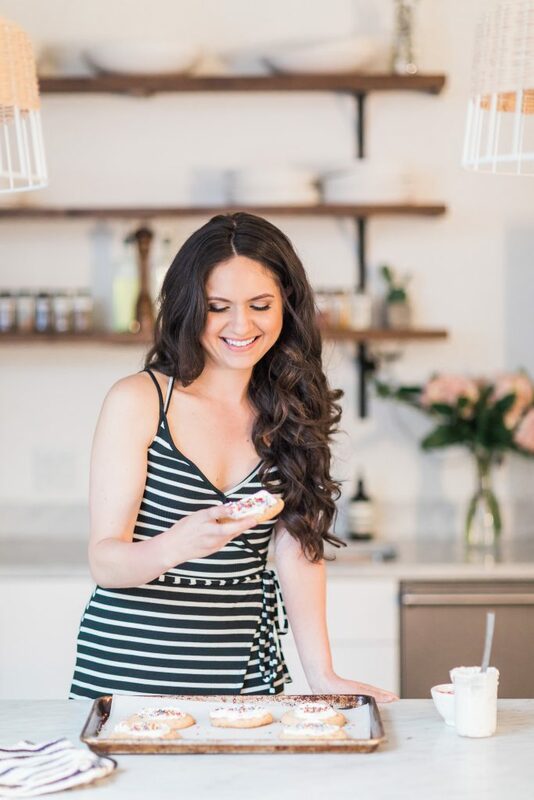 Tessa and I are having a blast sharing holiday recipes, tips, giveaways, and so much more with you this season. 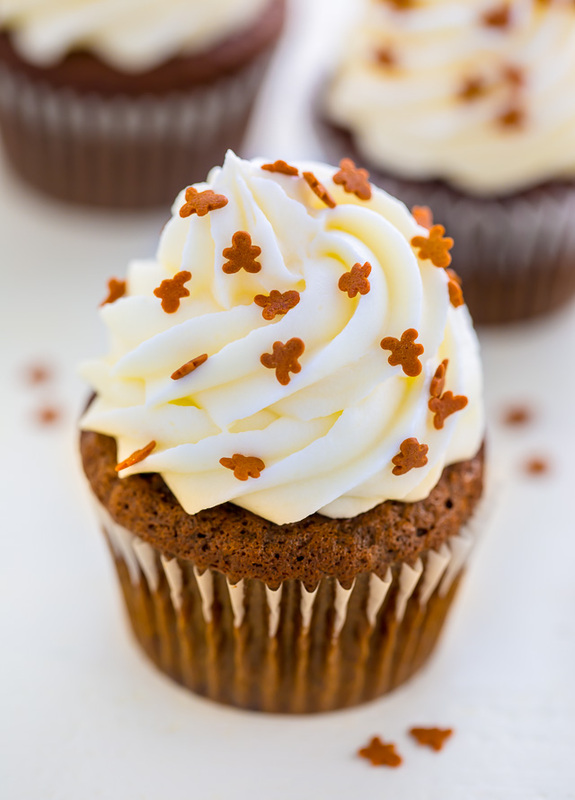 Have you joined our free Holiday Baking Bonanza Facebook group yet?! It’s the place to be! I actually baked these festive brown butter gingerbread men all the way back in August, and I’ve been aching to share them with you ever since. I baked a second batch right before my flight and I’m happy to report they’re just as good as I remembered them being. 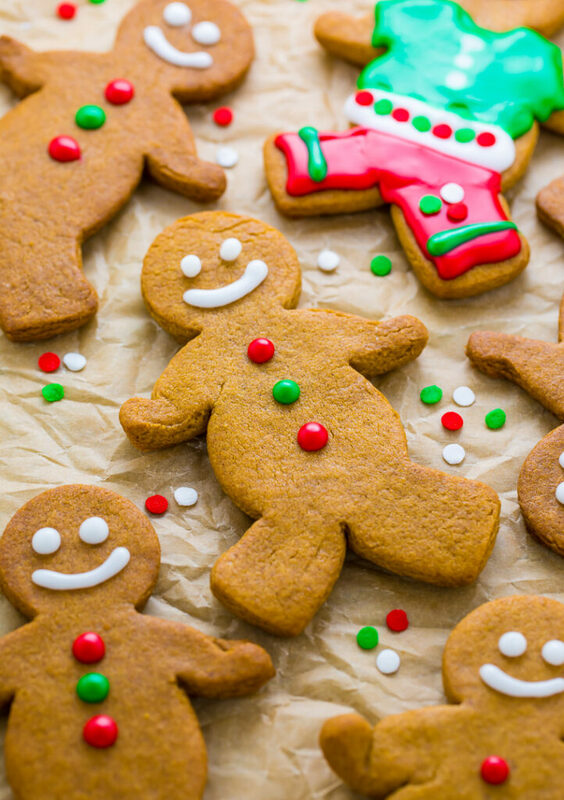 Each bite is crunchy, a little chewy, and full of rich gingerbread flavor. If you’ve never browned butter before, don’t fret! It’s really simple. You’ll need a pan, two sticks of butter, and a touch of patience – that’s it! You’ll start off melting the butter in a skillet. Once the butter has completely melted, you’ll continue to cook the butter, on medium heat (or medium-low if your stove top runs hot), until it’s turned a golden brown and smells slightly nutty. Just be sure you stay stove side once the butter has melted; brown butter can turn into burnt butter very fast. You will need to bring your browned butter back to room temperature before incorporating it into the recipe. To do this, simply pour the butter into a heatproof bowl and place it in the fridge for 30 minutes or so. You want it solid, but soft enough that when you gently press it with your finger it leaves an indentation. The cookie dough MUST be chilled for at least 4 hours. You can also chill it overnight… or up to 3 days! Making it a great make ahead option. If you’re using smaller cookie cutters, you may need to adjust the baking time. I suggest reducing it a minute or two. 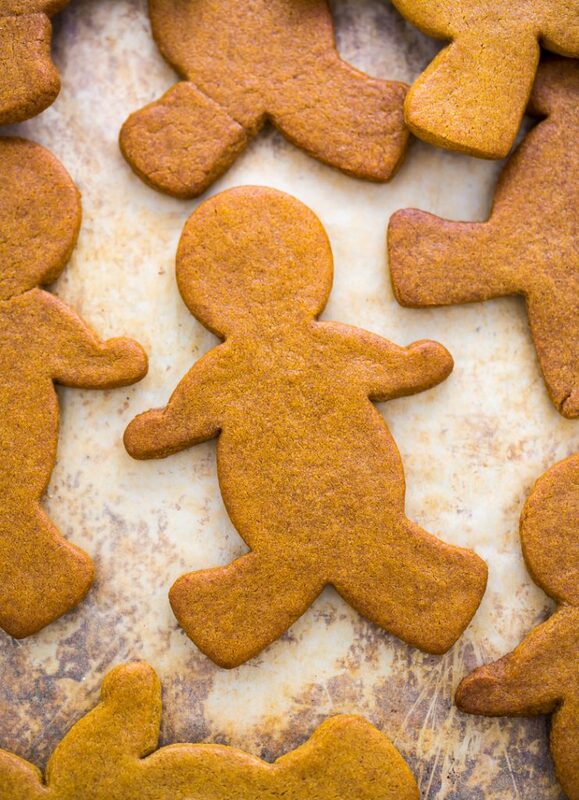 If you try these Brown Butter Gingerbread Men, let me know! Leave a comment below and don’t forget to snap a pic and tag it #bakerbynature and #holidaybakingbonanza on instagram! 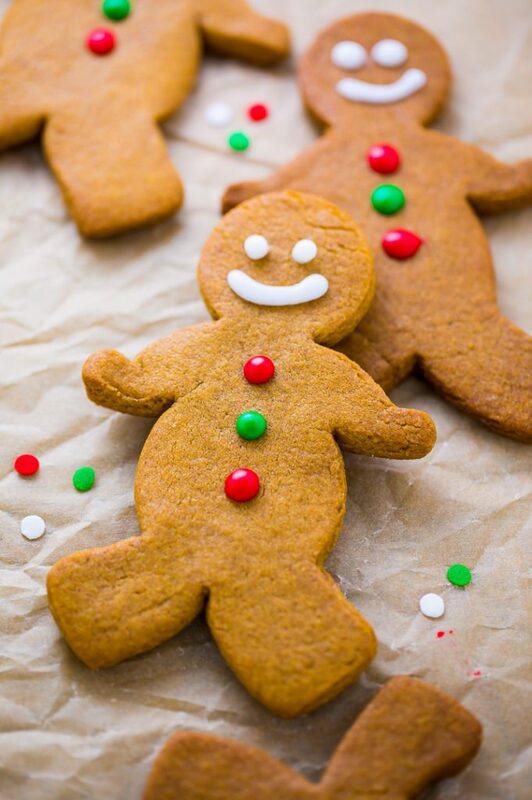 Brown Butter Gingerbread Men are perfect for holiday cookie parties! In a medium-sized bowl combine the flour, cinnamon, allspice, and ginger; whisk well and set aside. In the bowl of a stand mixer fitted with the paddle attachment beat the butter on medium speed until smooth and creamy. Add in both sugars and continue beating until the mixture is fluffy, about 3 minutes. Beat in the egg, egg yolk, and vanilla. In a small bowl combine the hot water, baking soda, and molasses; stir with a fork until the baking soda has completely dissolved. Add this mixture to the butter mixer and beat on low speed until combined. Add the dry ingredients in several additions, beating just until combined. 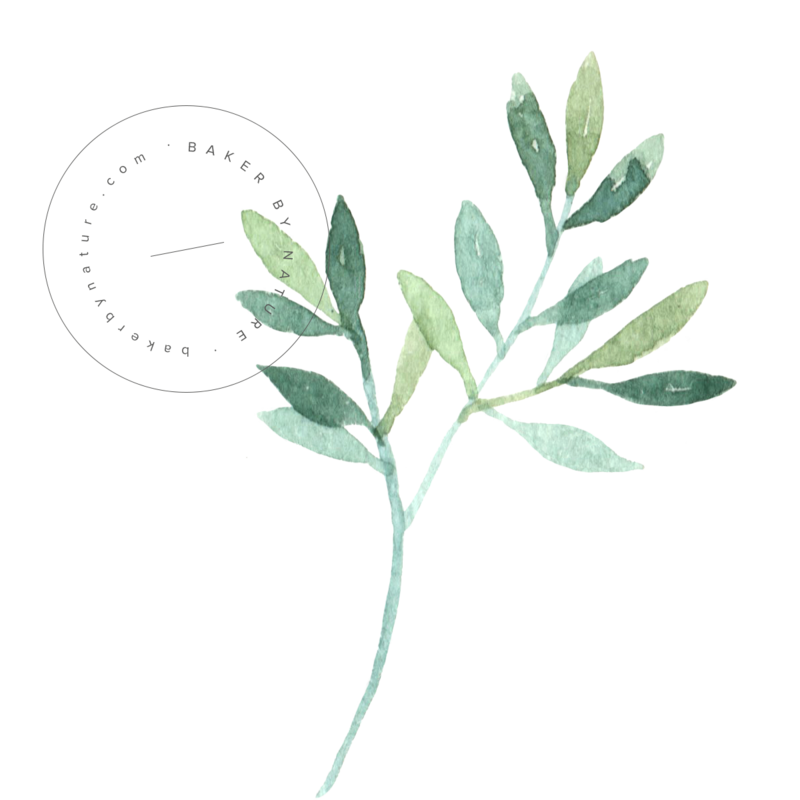 Gently scrape the dough out onto a work surface (it will be a little sticky and crumbly) and shape it into a flat disk. Wrap in saran wrap and refrigerate for at least 4 hours, or overnight. Divide the chilled dough in half. On a lightly floured work surface, roll one half of the dough out to a thickness of 1/8", lightly flouring the surface and dough as needed. Using a gingerbread cookie cutter, cut out as many gingerbread men as possible. Carefully transfer the cookies to the prepared baking sheet and bake for 8 to 9 minutes, or until the tops are set. Cool the cookies on the baking sheet for 5 minutes before transferring them to a cooling rack to cool completely. Repeat with all cookie dough. Once the gingerbread men have cooled completely, decorate them with icing and sprinkles, if desired. In a medium-sized bowl combine the confectioners' sugar, warm water, salt, and food coloring (if using); whisk well. If the icing appears to thin to hold its shape, add a little more confectioners' sugar; if the icing appears a little to thick to easily pipe, add a little more hot water. You can play around here until you reach your preferred consistency. Pour the icing into a piping bottle or simple spread it on top of the cookies. 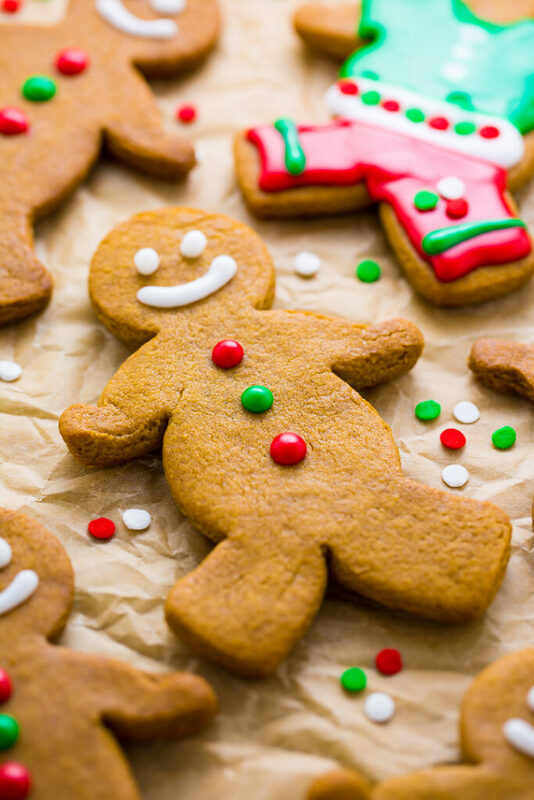 The amount of gingerbread men this recipe will yield depends on the size of your cookie cutter. 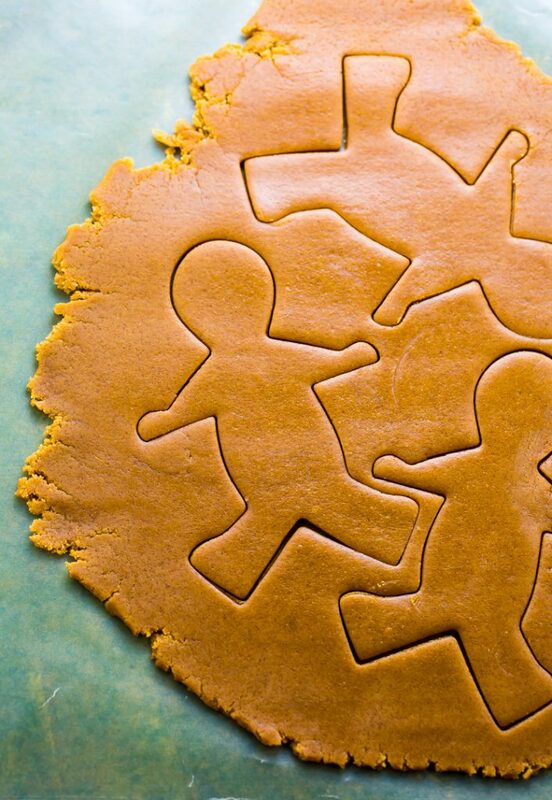 If you're using very small cookie cutters, decrease the bake time by 2 minutes. 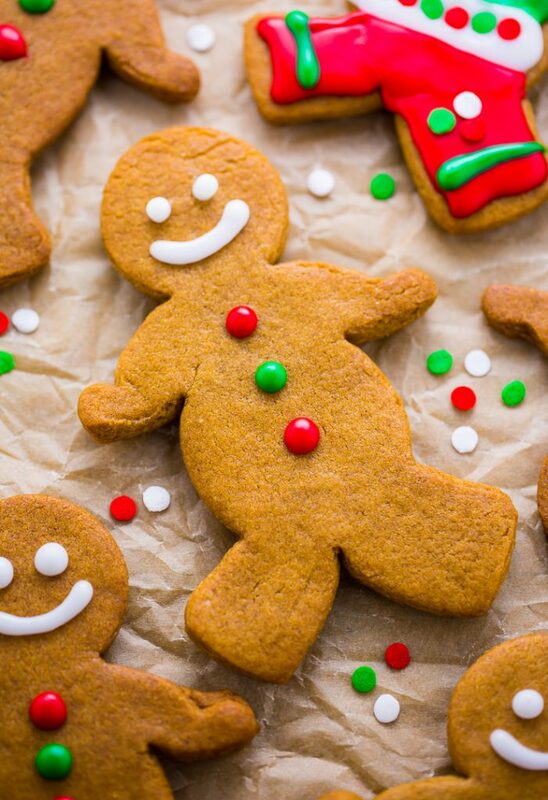 I’ve never made gingerbread men before, but these photos are too adorable for me not to try this year. Thank you for sharing. Hi, I was wondering if you could tell me at what oven temperature you baked your fabulous brown butter gingerbread man cookies, I didn’t see it in the recipe. Thanks. Hi Indira! They bake at 350 degrees (F). Thanks a lot! I’m so excited to make these cookies, I seriously spent the night bitting my nails and waiting for your reply,hahaha! 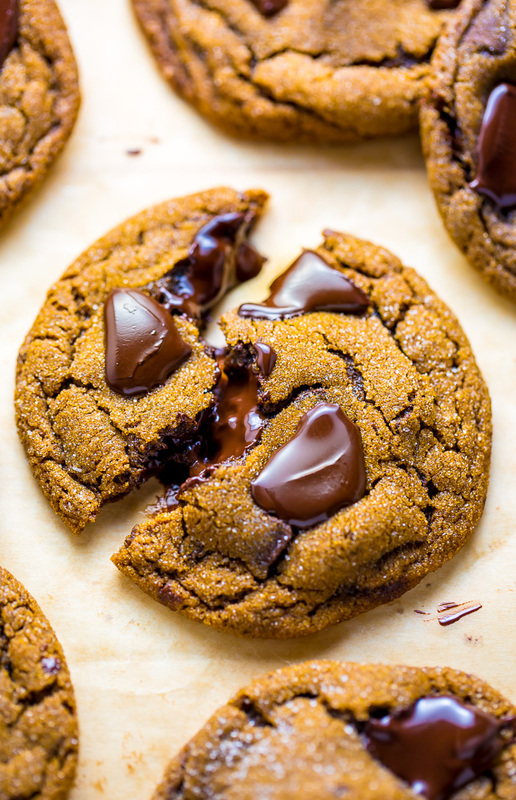 I also need to tell you how much I adore your brown butter chewy molasses gingersnaps cookies, I made them 5 times last Christmas and entered it at a friend’s annual cookie contest, and I won! Thank you so much for sharing your talents. Have a wonderful Thanksgiving Day! Hi Ashley. I think you could cut out the gingerbread men, line them on a baking sheet, and freeze the dough. Then just bake them as needed. I don’t think the baked cookies would freeze well. You can also make the cookie dough up to 3 days in advance and store it in the fridge. The addition of brown butter to gingerbread is such a great idea! Yummy!